Students depart for Spring Break today as we close out the Winter Term on campus. The past three months have seen remarkable work done in the classrooms, in art studios, on stage, in the dorms, and on the court/ice/hills by students and faculty. 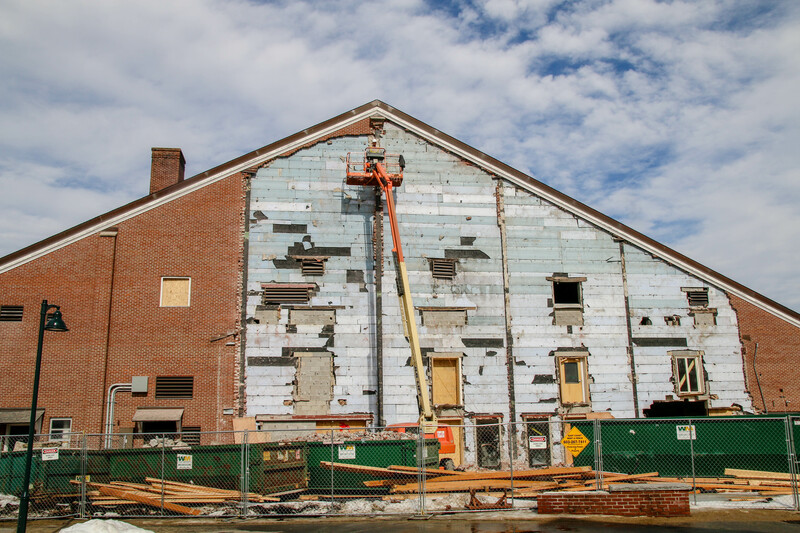 The winter has also been a time of transformation for the Farrell Field House as renovations continue within The Campaign for Proctor. In December, we celebrated the completion of Phases 1 and 2 of the Farrell Field House renovations (read more here). Today, we look ahead to the exciting progress being made on Phase 3 construction as the Winter Term winds down. The newly renovated gymnasium has been a highlight of the winter term. Visiting teams, officials, and our own athletes and coaches have raved about the space, the bright light, and the new playing surface. The court hosted the girls' basketball NEPSAC quarterfinals on Wednesday, and will host the NEPSAC Class C semi-finals on Saturday. The new fitness center (below), has also been a hub of activity this winter. Athletic trainers Kelly Griffin and Chris Jones have noted at least three times as many faculty, staff, and students coming through the space daily. We are in the midst of a sizable demolition project as the concrete slab under the old Cannon Dining Hall is torn up and preparations for a new slab and footings are installed prior to structural steel arriving by the end of March. As the old adage reminds us, things often get worse before they get better. There is nothing pretty about the current state of renovations on the south end of the field house! 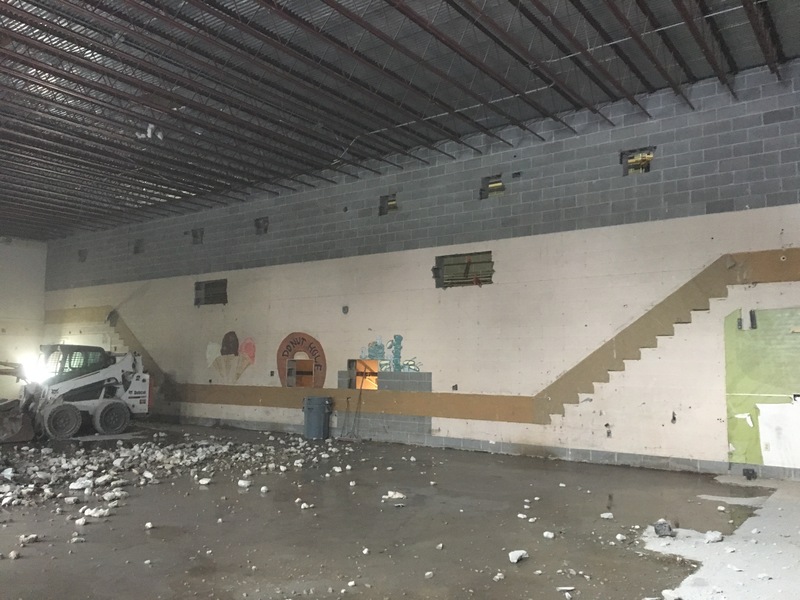 Exterior brick is removed to prepare for new windows and the new bump-out addition that will house classrooms, wellness studios, locker rooms, and athletic offices. A little bit of history was exposed as the interior of the Cannon Dining Hall was demolished. Anyone remember Edna's donut window and the old dish room drop off? Now that the ceiling of the Cannon Dining Hall has been removed, the sheer size of the space used for Phase 3 can be appreciated. 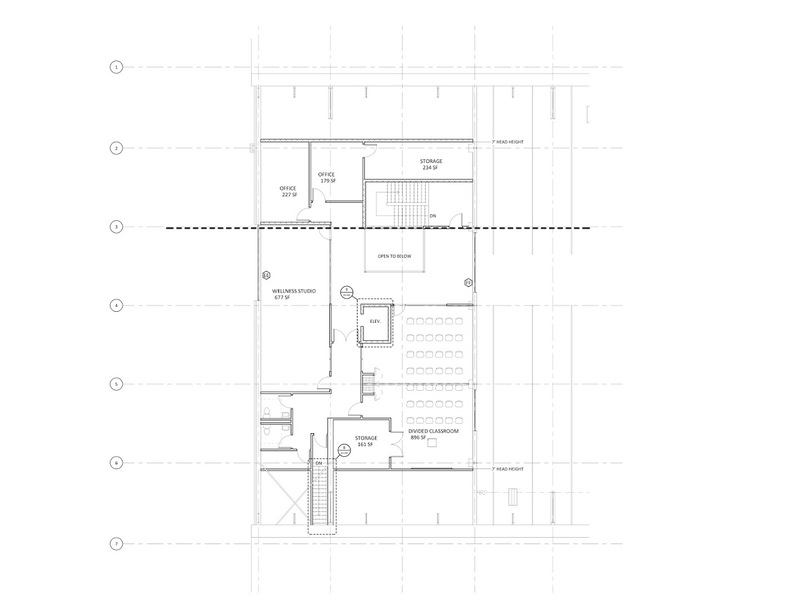 The new addition will take advantage of three floors of academic and wellness spaces (see floor plans below). The view from inside the Farrell Field House looking out at the Brown Dining Commons and Proctor Ski Area is quite interesting (above). In December 2018, you will walk into the south end of the Field House and a large lobby will welcome you. This lobby will flow into the gymnasium through two sets of double doors straight ahead of you. 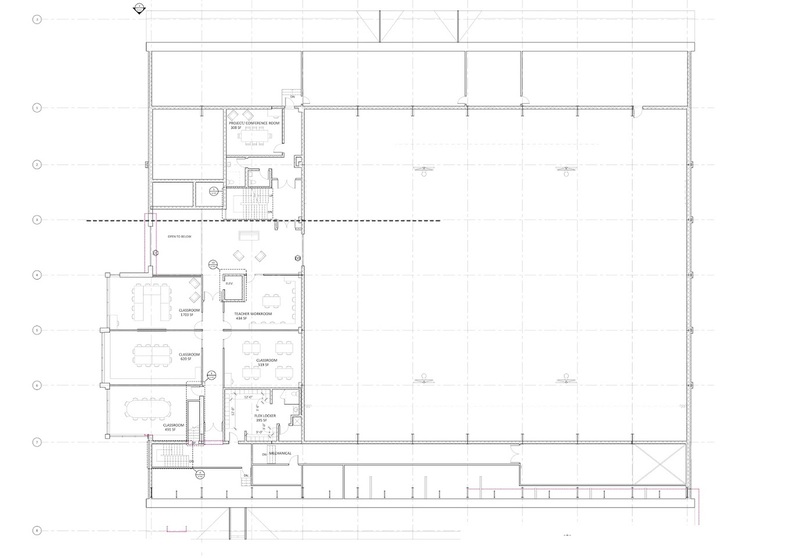 To your right will be athletic offices, a new women's coaches locker room, and girls' locker room adjacent to the athletic training room. To your left will be restrooms and a stairwell to second and third floor classrooms. 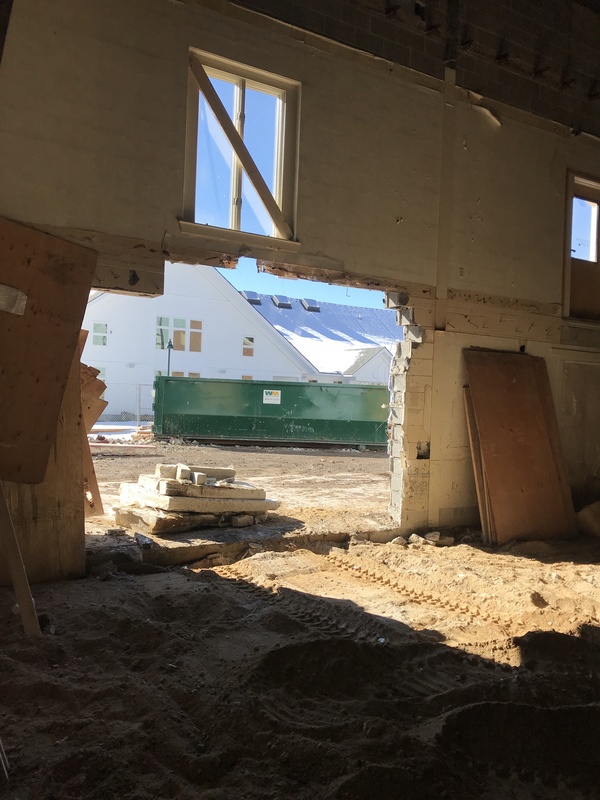 The second floor (below) of the new addition will house five classrooms, a flex locker room, and academic department teachers' work room. 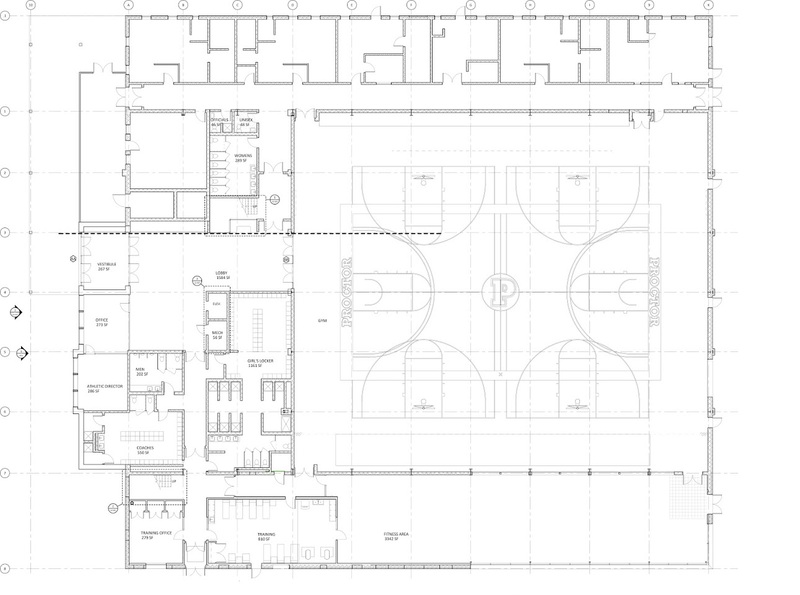 A large lobby will be open to the first floor, while large windows will overlook the gymnasium. 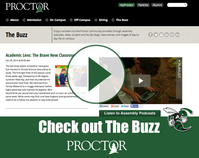 The tentative plan is to have Proctor's English and Social Science Departments host classes in the new field house. 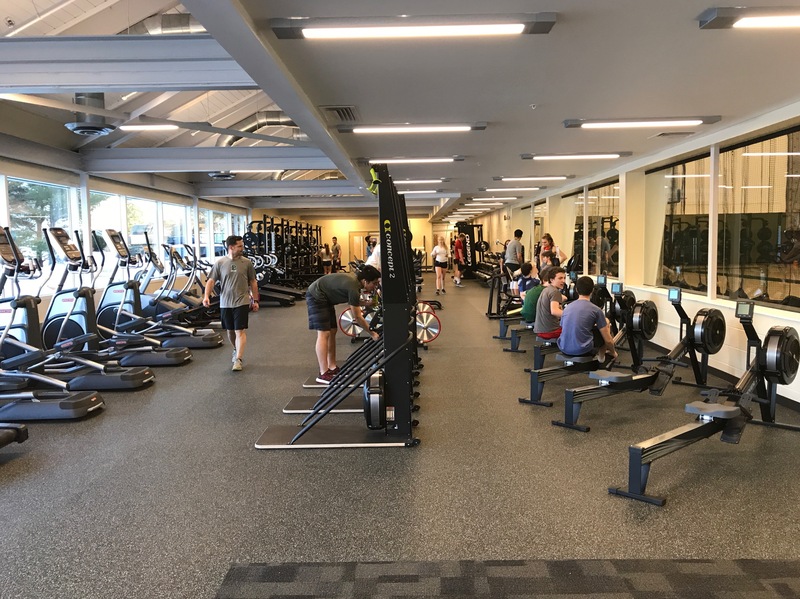 The third floor (below) of the Phase 3 renovation provides exciting new space (formerly storage) as a large dividable classroom complements a wellness/yoga studio overlooking the Brown Dining Commons/Proctor Ski Area. 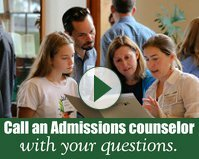 New counseling offices will also be located on the third floor and lobby windows will look out over the gymnasium for those not afraid of heights. 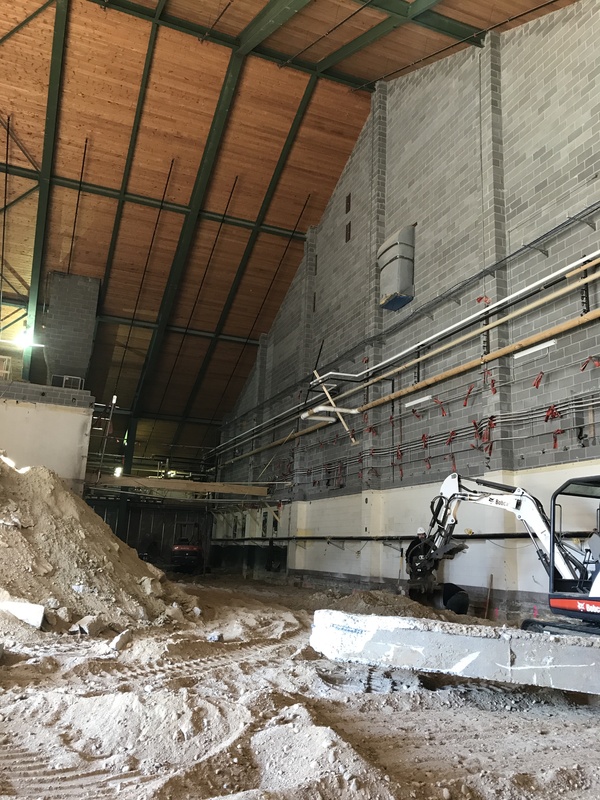 As Phase 3 construction continues, Proctor continues to look ahead to the sequencing of Phase 4 (locker rooms, athletic equipment room) and the future renovation of Maxwell Savage Hall over the next eighteen months. More details on these projects will be shared soon as we are incredibly excited to be a part of the Proctor community at this time of forward progress.